CRGA provides comprehensive architectural, interior design and planning services utilizing an experienced in-house team of architects and interior designers specializing in healthcare design. 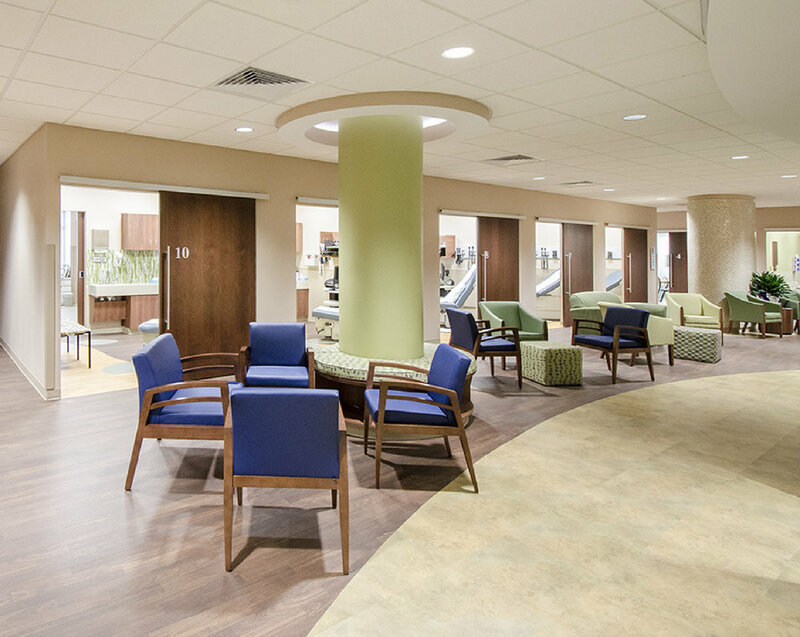 Our 35+ years of experience includes the completion of hundreds of acute and ambulatory care facilities, medical office buildings, physician practice suites and senior living projects. Led by Sandy Goodman, IIDA, CHID, LEED AP, EDAC, CRGA is now a federally certified Women-Owned Small Business (WOSB), an MBE/DBE/SBE certified by the State of Maryland Department of Transportation, and a Small, Women-owned and Minority-owned Business (SWaM) certified by the State of Virginia. Find out more here. "We are passionate designers that believe creating sustainable environments to improve lives is a special calling. We cherish the lasting relationships we’ve built on this journey with our clients, our colleagues, and our community." Our portfolio includes the completion of hundreds of projects across the Continuum of Care, including acute and ambulatory care facilities, medical office buildings, and physician practice suites. At CRGA, we always strive to create a healing environment for patients and families. Quality healthcare design requires a team effort – we enjoy working as a team with our clients to design the best possible environment for their patients and staff. Learn more. "We believe that it is our social responsibility to leave the planet in a better state for future generations – therefore, we are committed to sustainable design. We design all of our projects with the environment in mind and encourage clients to seek LEED Certification when appropriate." Our team at CRGA strongly believes in the importance of sustainability throughout our projects. All of our team members have a concern for environmentally responsible design and the sustainability of our planet. While we are very pleased that our South Tower project for Anne Arundel Medical Center achieved the distinction of being the first LEED Gold acute care facility in the State of Maryland, our philosophy regarding sustainable design is not just about achieving LEED status. Healthcare facilities are charged with caring for a community’s or region’s wellness and healthcare needs. It is important that the buildings and projects we design for our clients recognize that caring for the health of a community begins with the design of healthier campuses and environments. "I have worked with CRGA for the past thirty-two years. I have continually challenged the CRGA team to design healthcare environments that help relax patients and family members, create areas of diversion for the families, integrate clinical technologies - often at a pioneer level - and generate a unified look and feel that reflects the Anne Arundel Health System brand. I have always been able to count on this team to deliver an exceptional project. The completed projects have always met or exceeded my expectations and they have been delivered on time and within budget. I highly recommend the firm of CRGA." CRGA was founded upon the value of providing quality services to our clients. However, our firm also has an obligation to our staff to create an environment that fosters collaboration and individual growth. We recognize the potential of each of our staff members and provide them with the opportunities to maximize that potential. For young architects, that includes mentoring and an opportunity to be challenged as part of a close-knit team working on diverse projects.